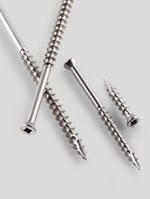 We recommend stainless steel fasteners for all of your cedar projects. 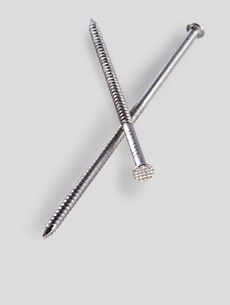 Stainless steel nails and screws are far more resistant to corrosion than galvanized or ceramic-coated fasteners and will not leave unattractive stains in your wood as shown below. 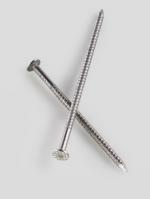 In addition to 1-pound and 5-pound boxes, stainless steel fasteners are also available in bulk quantities. 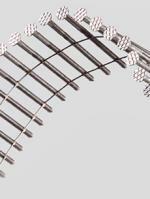 Most ship within 24 hours of ordering. 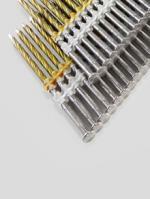 Click on Stainless Steel Bulk Fasteners to get a quote.